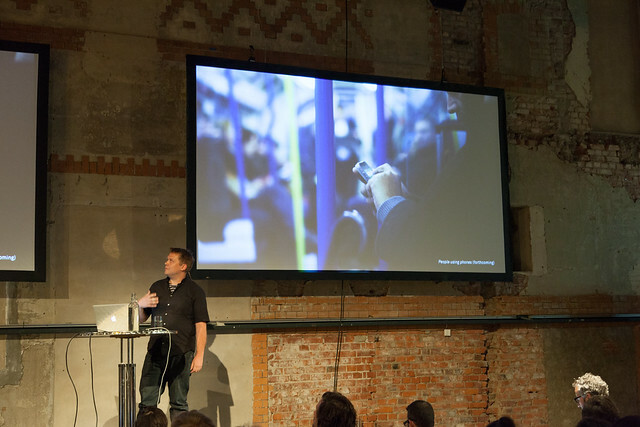 Our conference Digitalt byliv took place at DogA on 24 May, and it was a great day to host! We had great speakers, a broad trans-disciplinary audience and wonderful weather. The conference was organised by YOUrban and Statsbygg with support from Miljøverndepartementet, Norsk Form and Forskningsrådet. 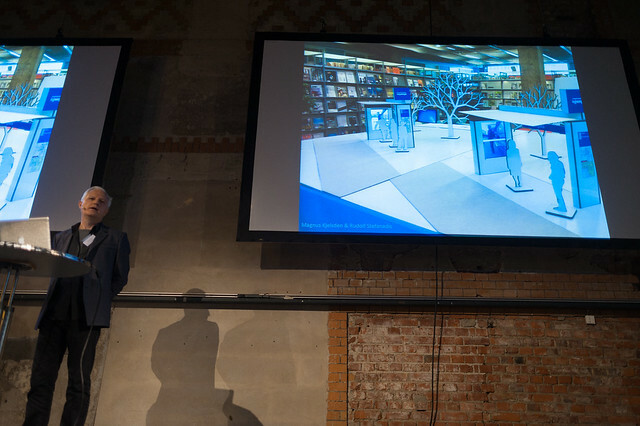 The aim of Digitalt byliv was to put digital urban life on the agenda and bring together critical, practical and strategic perspectives on the ongoing the digitisation of cities. The programme was put together by Knut Felberg from Statsbygg, Jonny Aspen from AHO’s Urbanism department and myself. When curating the programme we wanted to use the opportunity to look closer at both how digital technologies are shaping urban life, and also how the city can be a context for discussing technology and societal change on a broader level. We are very pleased with how the conference turned out. For me, the conference was a chance to bring together some of the most interesting perspectives and people in the discourses of the networked city, and seeing them in one setting. The speakers did a great job of dovetailing their talks together to build a set of complementing arguments about networked city life, urbanism and design. We will soon post more comprehensive write-ups of the talks, but here I want to give an overarching summary of the event. 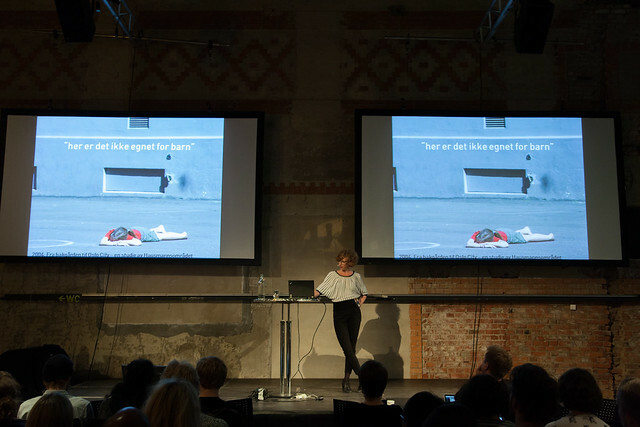 The conference was opened by State Secretary Ellen Øseth from Miljøverndepartementet (the Ministry of the Environment), who talked about urban politics, technology and sustainability, and the Ministry of the Environment’s ongoing project ‘Fremtidens byer’. The following programme had roughly three sections: First, we opened the day by looking at technology, politics and culture, and lifting up problematics and issues around the networked city and design. Here we heard from the writer and artist James Bridle, who gave a talk titled ‘Pay close attention’ – discussing how digital networks bleeds into culture at multiple levels and how technology facilitates but also reveals power. 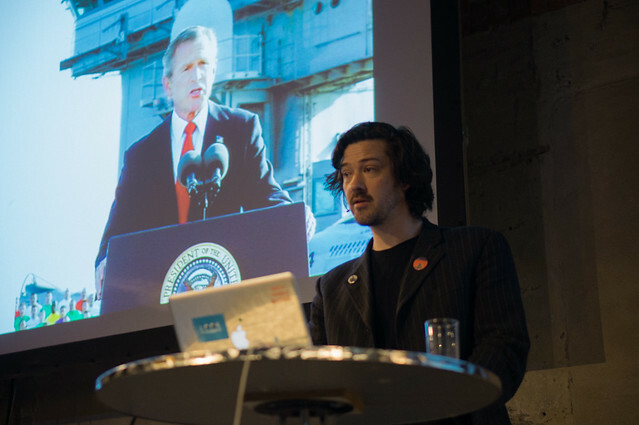 The New York-based writer and urbanist Adam Greenfield gave a talk titled ‘On the displacement of politics’ – giving a critical analysis of the commercial ‘smart city’ rhetoric and the discussing how politics might be reinscribed and practiced in the networked city. Adam was followed by the designer and educator Matt Ward from Goldsmiths University of London. 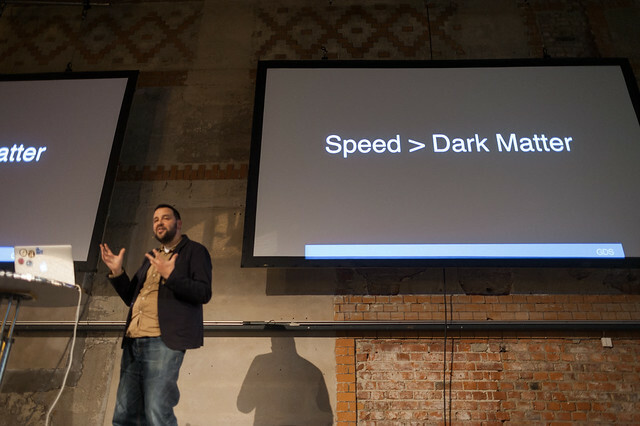 Matt’s talk was titled ‘This space is not for sale: Cities and cinematic imagination’ – reflecting on photography and design, and how the understanding of cities is shaped through media and technology. 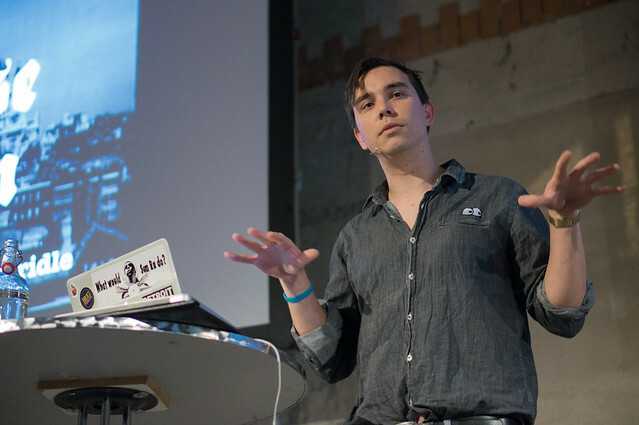 Timo Arnall, interaction designer and researcher from AHO, presented our ongoing work in exploring and visualising technological systems in the talk ‘Poking at touchscreens: Digital city life made visible’. Timo also showed some upcoming work from the YOUrban-project. In the second part of the programme we heard from several local project ranging from architecture and planning, participation, public data and research. 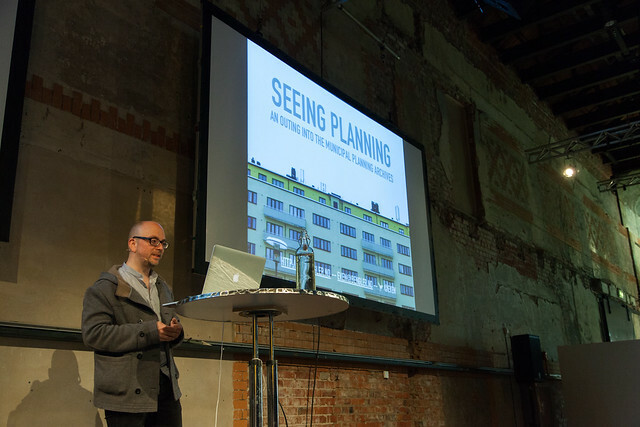 Here designer and developer Even Westvang from Bengler gave the talk ‘Seeing planning – A visual outing into the municipal planning archives’ – reflecting on his experiences from making tools for visualising planning archives. Even also presented some of the visualisations he has made together with YOUrban. 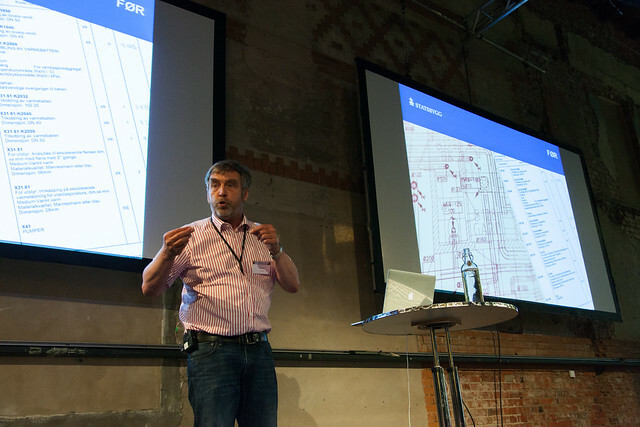 Senior engineer Diderik Haug from Statsbygg talked about Building Information Modelling systems in the talk ‘Oops, var det sånn det ble seende ut?’. Diderik talked about experience in using digital models in planning-contexts and gave a talk filled with anecdotes and detailed examples from planning-processes. 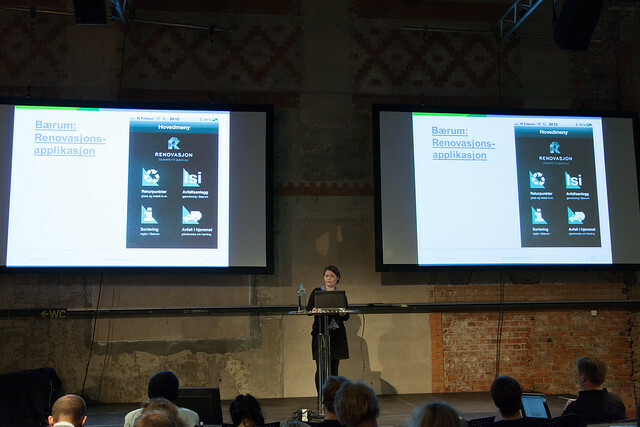 Architect Hege Maria Eriksson from Norsk Form talked about the project ‘Barnetråkk’, where digital mapping tools have been used to allow kids and youth participate in urban planning processes. Hege Maria talked about the upcoming plans for this project in a talk titled ‘Barnetråkk 2014 – Digital medvirkning i byutviklingen’. Engineer Sylvia Skar from Norconsult and Ministry of the Environment how digital technology is an important part of the the project ‘Framtidens byer’ about sustainability and urban politics. Andrew Morrison, YOUrban’s project leader and Director of the Centre for Design Research at the Oslo School of Architecture and Design rounded off the second part of the programme with the talk ‘Researching the networked city’ – presenting the project and reflecting on experiences from doing research into this field. In the third part of the programme we looked at more strategic perspectives on the networked city, and on the relationships between the city and public service. 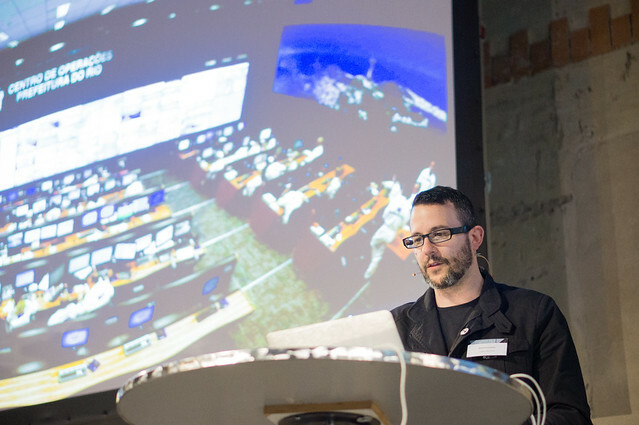 The writer and communications strategist Russell Davies is Creative Director at Government Digital Service (GDS) in the UK. Russell gave a talk titled ‘Simpler, clearer, faster – Some things we’ve learned building GOV.UK’, where he talked about GDS and experiences from building the UK’s new digital public services. 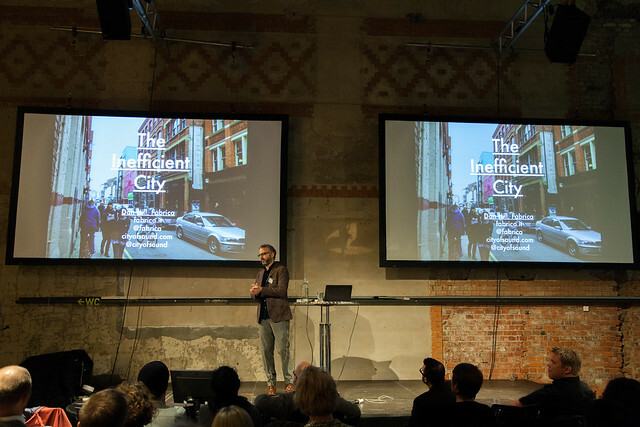 The urbanist, designer and Fabrica CEO Dan Hill was our closing speaker with the talk ‘The Inefficient City’. Dan did a wonderful job of tying together the perspectives presented earlier in the day and ended with a set of reflections on how strategic design and networked technologies can contribute to city development and how the urban experience is shaped. 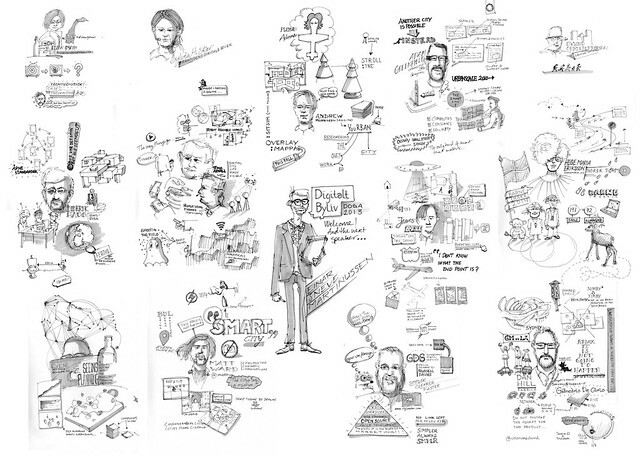 The feedback on the conference from our the audience and our collaborators have been great. Our goal for the day was to bring the discussion of the networked city onto the broader agenda for design, technology, urbanism and politics. And the audience did come from remarkably broad range of professions and backgrounds: designers, social scientists, geographers, architects, urbanists, artists, politicians, engineers, technologists and so on. In my closing remarks as a host I ended on an argument pointing towards exactly this. Namely, that if we are to take the networked city seriously, if we want to plan for it, facilitate it and include it in political discourse, we need a broad interdisciplinary approach that includes all of the disciplines and perspectives that together makes up our digital urban life. Finally, we would like to thank all our speakers, the participants and our co-organisers for a great conference, and hope that it leads to new collaborations and initiatives.